India Yamaha Motor Pvt. Ltd. (IYM), the leading two wheeler manufacturer, today inaugurated its third manufacturing facility at the industrial park in Vallam Vadagal situated at the outskirts of Chennai, Tamil Nadu. The plant was inaugurated during the opening ceremony of the Global Investors Meet 2015 by the Hon’ble Chief Minister, Ms. J. Jayalalithaa in the presence of Mr. Hiroaki Fujita, Chairman, India Yamaha Motor Pvt. Ltd. and other senior dignitaries of the Tamil Nadu government and IYM. The new factory will be the first in the Yamaha Motor group to have a vendor park in its vicinity. Spread across 177 acres, the new facility covers an area of 109 acres for IYM and 68 acres for vendor partners. The company signed a Memorandum of Understanding with the government of Tamil Nadu in May, 2012 to construct and operate the two-wheeler factory in the state. 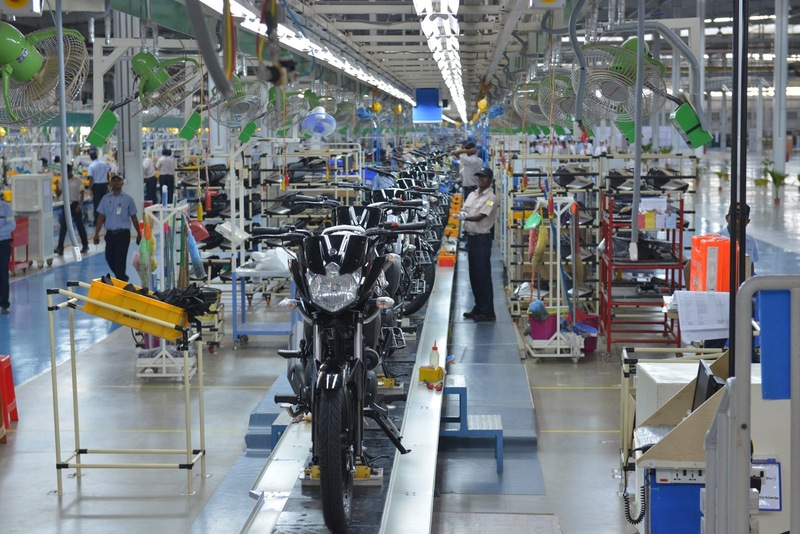 The new facility will join the currently operating factories of IYM at Surajpur (Uttar Pradesh) and Faridabad (Haryana) to meet the rising demand for two-wheelers in India. With the new Chennai factory and the company’s plants in Surajpur and Faridabad, IYM will have a combined two-wheelers production capacity of 2.5 million units by 2018. “The company has sold 7.4 lakh units in 2014 and we are eyeing double-digit sales growth in 2015. The company is also targeting a significant increase in the domestic market share in the coming three years. Considering the high growth in the scooter segment at 25-30% over the last few years, the company is also looking at increasing its presence in this segment in which it currently has more than 5% market share. South has been a very important market for us. The region contributes around 30% to the total two-wheeler demand while it contributes approximately 50% to total IYM sales. Chennai is also a strategic market for us due to its proximity to the sea port.”, Mr. Fujita added. 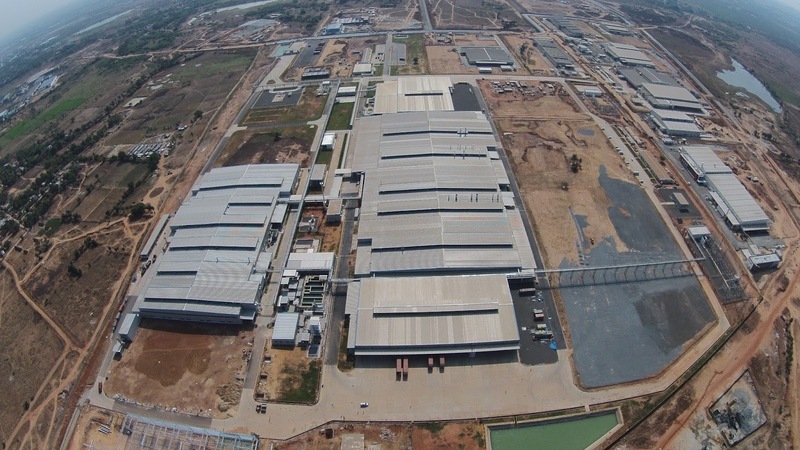 The new Chennai Factory is the first in the Yamaha Motor group which has a “Vendor Park” in its nearby vicinity. The vendor park has 9 vendors who plan to invest Rs. 1,000 crores and will employ around 3,000 people by 2018. The facility will bring together the production operations of main external parts suppliers, thus enabling complete synchronization of external supplier parts production as well. This system will reduce losses in the areas of production management and distribution to extremely low levels in the overall engineering and manufacturing process, and make the new production base a highly-efficient and profitable plant. This Chennai plant is an energy-recycling factory that is friendly to people and the global environment. The plant incorporates state-of-the-art infrastructure and advanced technologies for Zero-water discharge and recycle/ reuse of waste water and maximum use of sunlight. The building is compatible to solar power system installation. All common utilities are located in the centre to minimize distribution loss & centralized management. 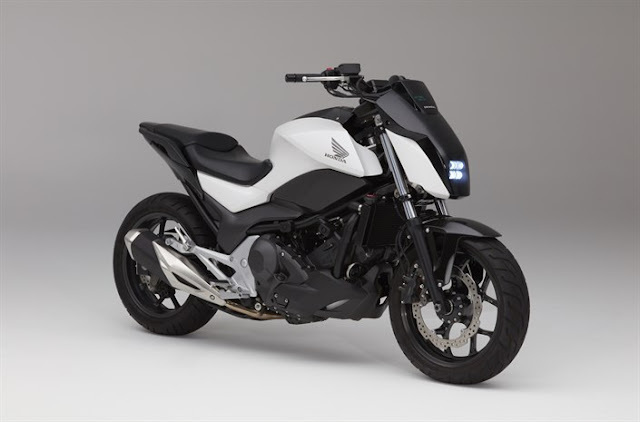 To begin with, Yamaha will produce the new 125cc Saluto motorcycle and scooters including new Fascino, Alpha, Ray & Ray Z at the new plant, which will have an initial annual capacity of 450,000 units. The plant employs more than 2,000 people currently and will have 3,900 employees by 2018, out of which about 40% will be women workers. Earlier this year, IYM has launched the Economical & Practical Indian Family Motorcycle, Saluto (125 cc) and a stylish scooter, Fascino (113 cc). The Saluto’s utility lies in the family usage for commuting, tandem riding, shopping trips and other local errands and it is intended to expand sales in the largest demand category in India by offering one of the best fuel economy performances in the 125cc class. On the other hand, the Fascino is positioned to further expand sales of the company in the scooter category, especially among the youth who have a keen interest in current fashion and trends.